The latest anime Vans silhouettes have a curious aesthetic that is quite experimental. 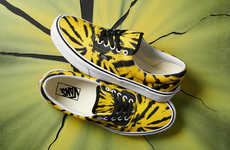 The design pays tribute to JoJo’s Bizarre Adventure, particularly two characters — Giorno Giovanna and Bruno Bucciarati. 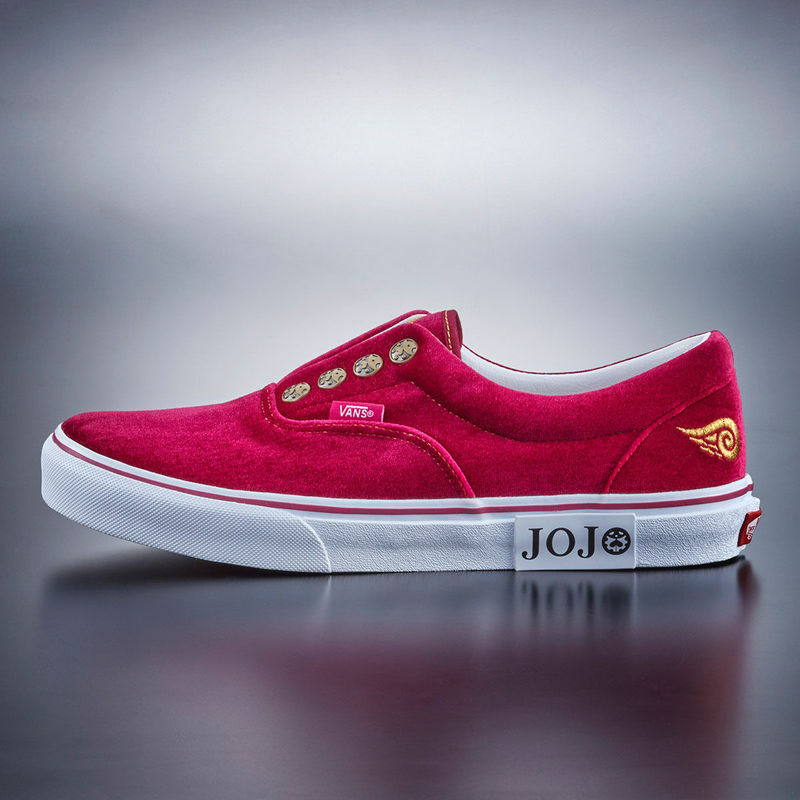 One of the designs takes on the upper of the Vans Era Pro through an attention-captivating fuchsia colorway and a velvety texture, with the JoJo logo present on the sole. The style is laceless, with gold accents recalling symbols from the show. 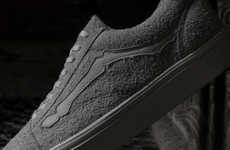 The second anime Vans sneakers boast the Slip-On and incorporate "a standout vamp zip compartment that reveals quotes from the characters." The anime-derived inspiration is a movement that is continuing to experience heavy traction within the scope of the footwear industry.